Monika: Today it is my pleasure and honour to interview Shandi Strong, a Canadian transgender rights advocate, author, public speaker, and politician from Winnipeg, Manitoba. 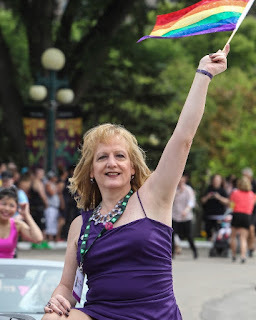 She was the first Trans Grand Marshall for the 2015 Winnipeg Pride Parade, recipient of the Winnipeg LGBT* Chamber of Commerce Trail Blazer Award. She serves as Advocacy Coordinator for Pride Winnipeg, and Executive Secretary for Manitobans For Human Rights Inc., as well as working as a constituency assistant for the Liberal Caucus in the Manitoba Legislature. Hello Shandi! Shandi: Hi Monika! I’m so very honoured to be interviewed by you! I have not been interviewed by anyone on your side of “the pond” before! So thank you! Monika: I saw your short story in The New York Times series titled “Transgender Today.” You described yourself as a transgender activist, photographer, musician, and writer. Quite a mix … :) Could you say a few words about yourself? 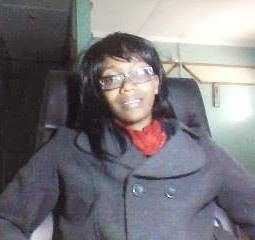 Shandi: Over my life I have learned that I have many talents, skills, abilities etc. etc. Not all of them were of immediate obvious value, but as I came into my own during some difficult times I began to appreciate them as I was more able to share them with my friends and community. I had dreams and desires of course, with each of them, but the focus necessary to utilize them all was lacking. When transition became an achievable goal, and my life fell apart as a result, the rebuilding process complete with its ups and downs taught me to value what I was capable of. In many ways I have been able to achieve many of my dreams albeit on a smaller scale. But each of my more creative abilities has served me well in developing self esteem. My photography for example is a creative outlet that let’s me share art and beauty. My writing ability let’s me focus and say what needs to be said when I do public speaking or presentations. My music is an outlet for creativity and energy, and the thrill of playing live at Pride a few years back still gives me goosebumps! Monika: You are a politician. What is your political manifesto? Do you think transgender women can make a difference in politics? Shandi: I ran for office in our 2016 provincial election at the urging of the leader of the Manitoba Liberal party, who had come to know me through my activism. I didn’t win, but it was an experience that demonstrated to me that I had more to give. Prior to that I had been so focused on dealing with life’s stresses, raising a family, jobs, divorces etc etc. that I never had time to consider much of anything that could make a difference on that scale. Coming out and immediately losing my job, while not completely unexpected in that day’s climate, was a wake-up call. Prejudice in spite of my experience and ability opened my eyes to what marginalized folk face daily. I had shifted from a position of average privilege, to becoming a part of a marginalized community. A teaching moment if there ever was one. So after a series of less than ideal jobs, and one really amazing one, I found my footing, and my voice. Working for the direct competitor of the company that fired me and thriving and re-engaging with old customers post transition who accepted and celebrated my change proved to me that it was my former employer that was the problem, not me. And I think that we all need to realize that’s where the problem exists. Marginalized people wouldn’t be marginalized if not for prejudice. It’s the people who are ignorant who are the problem, not us. Transgender people are a portion of our population, as are other LGBTQ* people, and we don’t have much representation in politics. My getting elected would have been historical in Canada, and given credibility to the community, as it has for gays and lesbians who have held public office. I currently work for the Liberal caucus in Manitoba, and have been making my campaign plans for the next election in 2020. Shandi: Yes, I do what I can to make our voices heard. I have spoken to may different groups over the years including medical students, prison guards, nuns, GSA’s, teachers, and more. I am the local “Go to” Trans person for the media, so any time there is something related in the news I’m usually on the radio, on TV or in the newspapers. For the last few years I have been involved with our local TDOR, and have been the lead on it for the last three. This past summer I organized our first ever Trans March for Pride, which brought out four times as many people as expected. 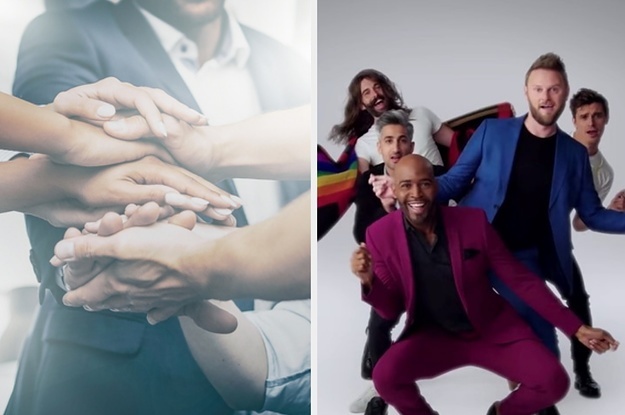 I feel it’s important for me to give back in this way, because there were people in the LGBTQ* community that were there for me when I really needed them. Monika: The transgender cause is usually manifested together with the other LGBTQ communities. Being the penultimate letter in this abbreviation, is the transgender community able to promote its own cause within the LGBTQ group? Shandi: Locally here in Winnipeg we have a very diverse Trans group, and a very wonderful and supportive Pride committee, which I serve on as advocacy coordinator. They have been incredibly supportive and encouraging of our coming out. Since I was grand Marshal we have had a second Trans Grand Marshal and a Two-Spirit Grand Marshall. The organization has come to the realization that the “LG” have fought for and earned significant rights and privileges in our country and are turning their energy now to supporting the other letters of our alphabet. Especially those who are more marginalized than others Trans, Two Spirit, Queer and Trans People of Colour, Newcomers to Canada and more. When I suggested that we do a Trans march they fully supported us, and even provided us some funding, they also donate to TDOR every year, and attend. 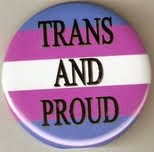 Our local LGBTQ resource Centre is supportive as well with Trans related programming, support groups for parents, Trans people, Trans youth, and reference materials, contacts with schools and businesses to raise awareness. It’s truly a great community from my point of view. Monika: At the time of your transition, did you have any transgender role models that you followed? Shandi: During the 15 years I spent in the community prior to committing to my transition I got to know a lot of people who were there to help others along the journey. Michelle and Rachel led the Trans support group for many years, and both are dear friends. Natalie, also a dear friend, went through a great deal during her transition, and rose to become a pillar of our community who was very involved with the Rainbow Resource Centre. I admire her a great deal. But none of them were really “out” to the world, as I feel we need to be. Monika: Are there are any transgender ladies that you admire and respect now? Shandi: I have a few that come to mind, Janet Mock and Laura Jane Grace from Against Me. They are passionate pioneers and get the word out there, sharing themselves to demonstrate that Trans people are people. But my favourite by far is Laverne Cox. She is amazing! Well spoken, strong, and smart. Certainly a good role model for any aspiring Trans person. Another is Bella Burgos, a very young former Winnipegger who had the strength and family support to come out at a very young age, fight and win a human rights case against her school division over which bathroom she could use. She is a friend and a hero! Monika: We all pay the highest price for the fulfilment of our dreams to be ourselves. As a result, many trans women lose their families, friends, jobs, and social positions. Did you pay such a high price as well? What was the hardest thing about your coming out? My story in a nutshell was that I lost my 15 year career when I came out, then three weeks later my supportive spouse of nearly 20 years betrayed me and left, and my daughters basically followed her. I was distraught and so messed up that I nearly ended myself. After my surgery I found redemption in the job I mentioned before, made more money than I had before and was on a high until the company closed my store. I spiraled again, ending up on welfare for a time, at times working three part time jobs, just to keep the collection agents at bay. I am grateful to so many friends and my current partner Kate, for helping me out, and not letting me lose faith in myself. The hardest thing was the loss of my spouse and daughters, who had all known about my pending transition for many years. My ex was my rock for nearly 20 years, and throughout most of that knew about and supported my dream. Her betrayal affects me even to this day. But I have been very fortunate to maintain so many of my friendships, some that I have had for over 30 years, and to find love again. The best has been the recent reconnection with my daughters after 7 years apart. I am so glad to have us in each others lives again. I truly feel alive! Monika: The transgender community is said to be thriving now. As Laverne Cox announced “Trans is beautiful.” Teenage girls become models and dancers, talented ladies become writers, singers, and actresses. Those ladies with interest in politics, science, and business become successful politicians, academics, and businesswomen. What do you think in general about the present situation of transgender women in the contemporary society? Are we just scratching the surface or the change is really happening? Shandi: We are making change. But that being said, it’s a lot like transition for most of us, it never happens fast enough. It will take time to change the hearts and minds of the people in the world. We have laws, allies, and advocates that are doing just that, but as it was with the gays and lesbians it will take time for the general public to process and accept us. The biggest difference for us is with the children, the young Trans people with great parents who are coming out at younger ages. They are becoming our best ambassadors, and their parents our greatest allies. A certain sign of success is the amount of pushback, and I don’t know about you, but I’ve seen a lot of pushback over the past few years. But when we have former American Presidents using the word “transgender” in state of the union addresses, and current Canadian Prime Ministers raising the Trans Flag on Parliament Hill, with Bills and Laws being enacted to protect us, in spite of the pushback, we can see that we are making progress. Those with the interests in the goals and careers you mentioned are the trailblazers in those fields, and let us not forget about the Trans men who are doing the same. By the time our young Trans people reach the point of careers being Trans will be a non-issue, because they will have grown up alongside their cis-gender allies who will be their friends, coworkers, and partners. Monika: What do you think in general about transgender news stories or characters which have been featured in films, newspapers or books so far? Shandi: Well there is a whole spectrum of them in the world today. I am, at heart an optimist, so I am drawn towards stories of hope and caring and bravery. I am angered by ignorance and fear mongering. So if there is news that is insightful and thought provoking great, but if it’s from a hater, I always consider the source, keeping in mind that there are of course others that think that way. I am so far behind on my reading, because in the process of writing my own book I stayed away from many stories so as not to influence my own. Movies and television are another thing. I enjoy being entertained, and the story needs to be engaging. I hope for the day when a Trans actor can play a Trans role or any role that suits them, instead of a marketing a cis-gender actor in a Trans role. I hope that day will come soon. Shandi: I think we are all too often the wardens of the passing prison. Yes I know that there are many of us who could use some FFS, myself included, but we are trying to teach others, especially young girls that it’s not all about appearance. Who is to say who is not feminine looking enough, to large bodied or not pretty enough? I used to look at the glamour magazines and dream of looking like the beautiful women on the cover. Then I started looking at real women. Real women who wear sweats to the shopping mall, go home to spend time with their families and the on the weekend get all glamorous to go out. Real women who come in all shapes and sizes, with or without the means to afford fancy clothes, hair, jewelry, and makeup. Who am I that I should be any different from them? Sure I want to be thinner, prettier and sexier, but does that diminish my womanhood? Should it diminish a cis-gender woman’s womanhood? I think not. If we are going to educate the world to be happy with their size and appearance we actually can be the leaders in that aspect. For us it should be the psychological aspects of who we are and what makes us women, rather that a focus on beauty via cosmetic surgery. That being said, each person is their own person. I didn’t get any FFS because I couldn’t afford it, I had plans for it, but practicality won out. I in fact still need to go get a significant amount of electrolysis. We all know that if we are happy we are better contributors to society, so do what you need to make yourself happy within your means. Shandi: I did, and I have. It’s called “Growing a Pair”, and I’m just waiting for my proof reader to finish before heading to the publisher at a bookstore chain. I wrote it, partially because people tell me what an interesting life I’ve had. Part of it was for my own clarity at the struggles I’ve faced, and to demonstrate how fears and insecurity hamper our dreams. As I said earlier, I’ve managed to fulfill most of my dreams to some level. I think that people who face struggles, and most notably Trans people who feel that they are faced with insurmountable odds, need to see some inspiration. I am glad, and fortunate enough to be able to provide it where I can. Shandi: There was a time when love was all I felt I needed. I got married the first time thinking that it would normalize me. That was a disaster, but I got my two wonderful daughters out of the deal. My second marriage was to my supposed soul mate, and as I said her betrayal nearly destroyed me. Having the opportunity to live on my own terms, both during feast and famine, taught me something about myself, my likes, dislikes and my resilience. I learned what I compromised about myself during my life, and vowed “never again”. My current partner is the Yin to my Yang, we are very different, but it works and we are happy. I know what makes me happy, and at this point in my life, my work, my passions, and my partner all make me happy and therefore productive. I love her, but most importantly, I love myself. Shandi: Yes, a new book, possibly a science fiction trilogy set in the near future, where the main character is Trans. It deals with time travel, androids, aliens and the morality of the human animal. There is of course my political career, and my involvement with a local human rights organization. I’m very proud to be a mentor to a young Trans Little Sister in the Big Brothers Big Sisters organization. Shandi: Well what helped me the most was self-acceptance. Growing up I always felt awkward, when I first began my experimentation with cross dressing I felt I would never pass. When I started the road to transition I was convinced I needed to look a certain way to feel good about myself. It was all about my perceived flaws. I would look in the mirror daily to shave or put on my makeup and always see “him.” Until a dear friend told me that, “One day, you will just see you.” That resonated. And eventually it happened. I got used to seeing my face in the mirror, not “his” not an “alter ego” but my own. So my advice is “Don’t focus on your flaws!” I did and it held me back. It ate at my confidence, my hopes, and created doubts. I was so convinced that I would never look like the women I aspired to look like that I forgot that I am a unique individual, with skills, hopes, dreams, and far much more than just my appearance. Confidence and a bit of fashion sense are a girl’s best friend! 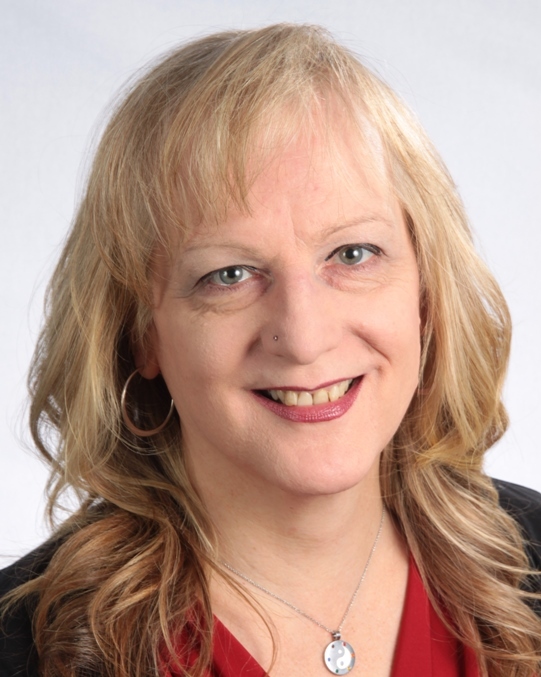 Monika: My pen friend Gina Grahame wrote to me once that we should not limit our potential because of how we were born or by what we see other transsexuals and transgender people doing. Our dreams should not end on an operating table; that’s where they begin. Do you agree with this? Shandi: I could not agree more! Case and point, when my life fell apart after losing my job and my partner, I desperately tried to figure out my failings. Where had I gone wrong? Since being focused on my transition I had begun to lose focus on things like home maintenance, car repairs, basically anything that was deemed “masculine”. I was not interested in getting dirty or fixing things, and used to joke that, “I might break a nail!” But it really wasn’t a joke. Then I realized now that I was alone, if I didn’t do these things, no one would. Then I realized that I had amassed many skills over my lifetime and was doing myself a great disservice to not utilize them. Every feminist who reads this just said “YES!! !” So I began in earnest to use my skills, and even renovated and decorated my kitchen for example, all by myself. Not because the skills were essentially masculine or feminine, but because they were mine. Through this I learned my feminist qualities and strengths. I won’t allow myself to be labeled. I do what I need to, what I am capable of, and am proud that I am capable. The way every person should be! Monika: Shandi, thank you for the interview! Shandi: Thank you Monika! I am happy and honoured to participate! All the photos: courtesy of Shandi Strong.